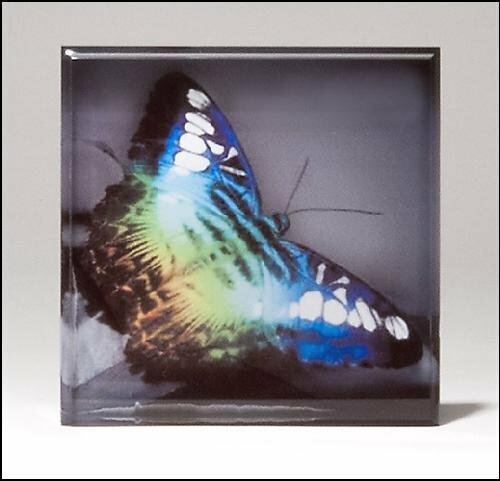 We Personalize this acrylic paperweight with our full four-color process. 1" thick clear acrylic. Individually gift boxed. Tortoise shell finish pen, solid brass caps and barrels. Maple & walnut pen box. Rosewood finish opener with gold-plated metal accents. Packaged in a velour sleeve and placed in a gold foil box. 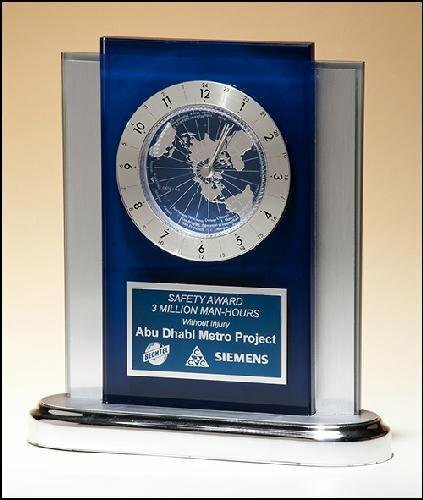 Blue and silver desk clock with world time clock movement. Rotate the silver bezel to read the time in two zones. Matching blue and silver aluminum engraving plate. Gift boxed. Battery included. Lifetime guarantee.